Counter balanced platform raises manually. 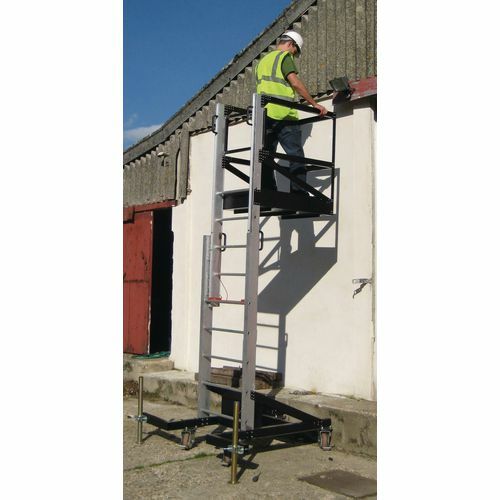 Can be used without PASM or IPAF qualifications. Erected entirely from ground level. Permanently fixed toe boards and handrails. Fits in the back of a van and through doors. 90kg min. weight with stabilisers detached. 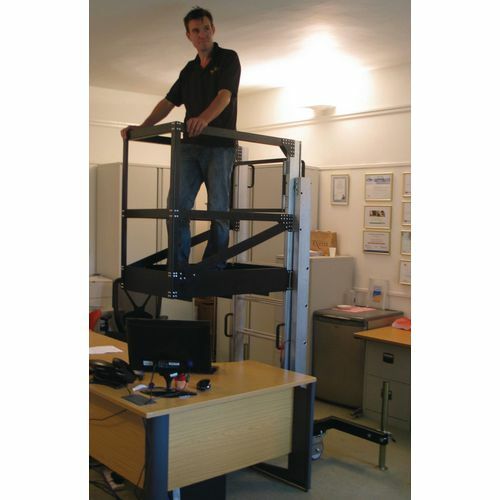 800mm outreach for over-desk access. 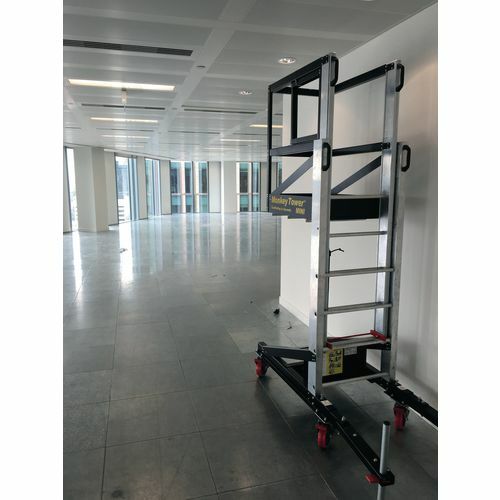 Latches every 250mm to maximum height. Wheels and stabiliser arms included. Overall H x W x D: 2925 x 1640 x 1320mm (open), 1922 x 700 x 1200mm (collapsed). For a safe and convenient method to reach areas at height, our counterbalanced access tower is an ideal option to pick. 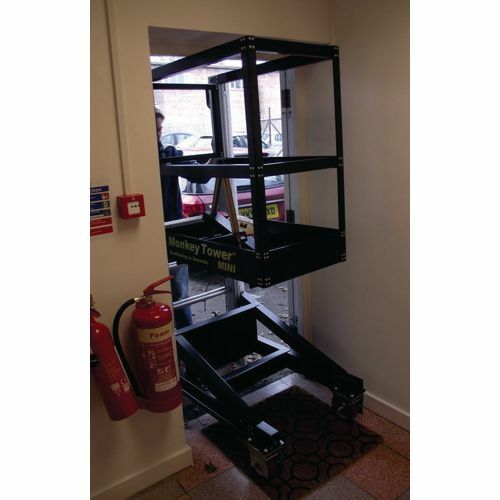 With no hydraulics or batteries they simply lift into position by hand and are erected entirely from ground level meaning they can be used in multiple different locations. They are so quick and easy to use as they set up in seconds. You are able to fit them in the back of a van and through a single door opening for easy transportation. 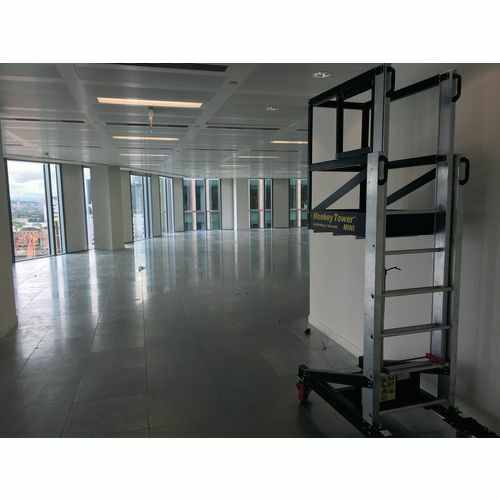 The unit latches every 250mm to a maximum working height of 3.9m to enable you to work comfortably at different above-ground levels. 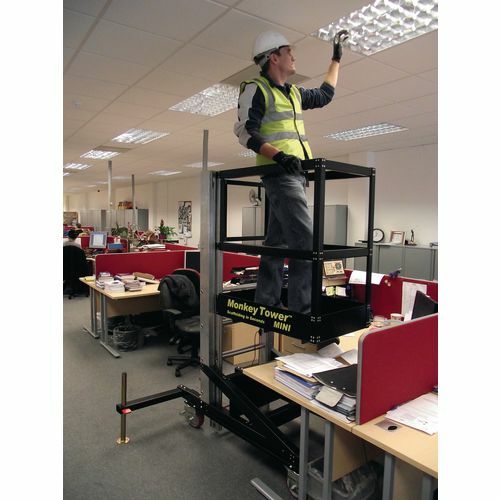 A great thing about our counterbalanced access tower is that it can be used without PASMA or IPAF qualifications. 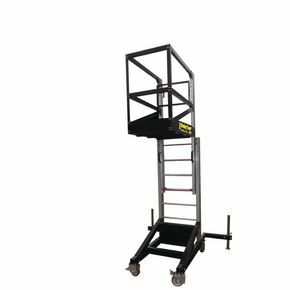 The permanently fixed toe boards and handrails ensure the operator's safety at all times during use and the wheels and stabiliser arms included offer mobility and sturdiness to the unit. Our product is high quality and an excellent resource to have at your disposal, they also benefit from FREE UK Delivery and a 12 month guarantee.